When it comes to choosing the best live chat software, the market is flooded with a multitude of options. Now, you can always choose what’s popular, but it won’t necessarily be the best option for your specific needs and use cases. You need to pick a software which is perceptive for your agents and at the same time responsive and forthcoming for the visitors who need quick assistance. Aesthetics is an important aspect of any live chat software. A badly designed dashboard that seems cluttered can confuse your agents and give way to inefficiency. 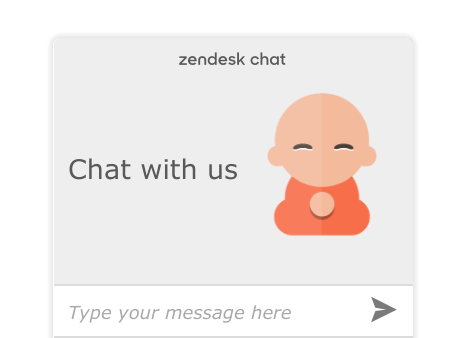 On the other hand, an unpleasant looking chat widget can fail to attract your visitors’ attention and also make your website seem aesthetically flawed. The ideal live chat platform should have a clean and intuitive dashboard and a widget that looks swanky enough to floor your customers. Mobile-friendliness is also a decisive factor in making the right choice nowadays. The agents don’t like to sit still in front of a desktop or be burdened with laptops. A portable mobile solution seems much more convenient to them as they can help or nudge customers anytime, anywhere. 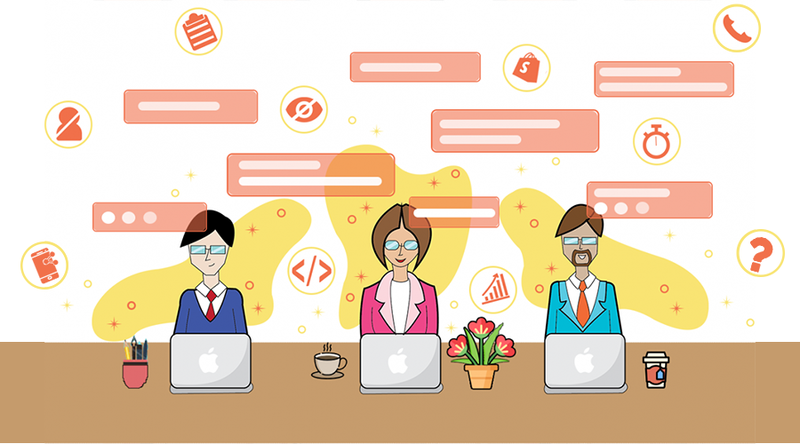 Anyhow, you’ll have to make various trade-offs between design, functionality and price while choosing the best live chat software for your business, which we, in our humble attempt, are trying to make as easy for you as we can. How did we Handpick the Best Live Chat Software Solutions? Apart from an extensive tête-à-tête with each of our virtual agents, all of them working on some high-end stores currently, we also took it upon us to install every live chat software mentioned in the list below and deconstructed every feature with utmost scrutiny to figure what’s hot and well, what’s not quite, in each software. We focused on both the user and customer perspective and emphasized on essential aspects such as Work-flow Complexity, Automation, Aesthetics, Analytics and Outreach as well as non-essential but nonetheless powerful features such as Shopify Conversion Tracking, that make an app stand out. Just remember, this breakdown is our take on these software solutions and none of this is etched in stone. Feel free to let us know about any discrepancies or updates in the comments. Zoho SalesIQ is a customer support and sales intelligence hub, a tool meant for tracking visitors, generating leads and offering live chat support. The default widget seemed to us quite compact and elegant with a lot of widget design options that you can choose from, making it highly customizable. You can change the placement, design, font, custom message, add gravatar, etc. If you want to take the customization to the next level, you can code your own widget and embed it on your site. We really liked the mobile chat apps as they were compact, simple and prompt, and looked way better than the desktop version. You can track your Shopify conversions conveniently with Zoho and the people who convert get stored in your Zoho Inventory for future reference. 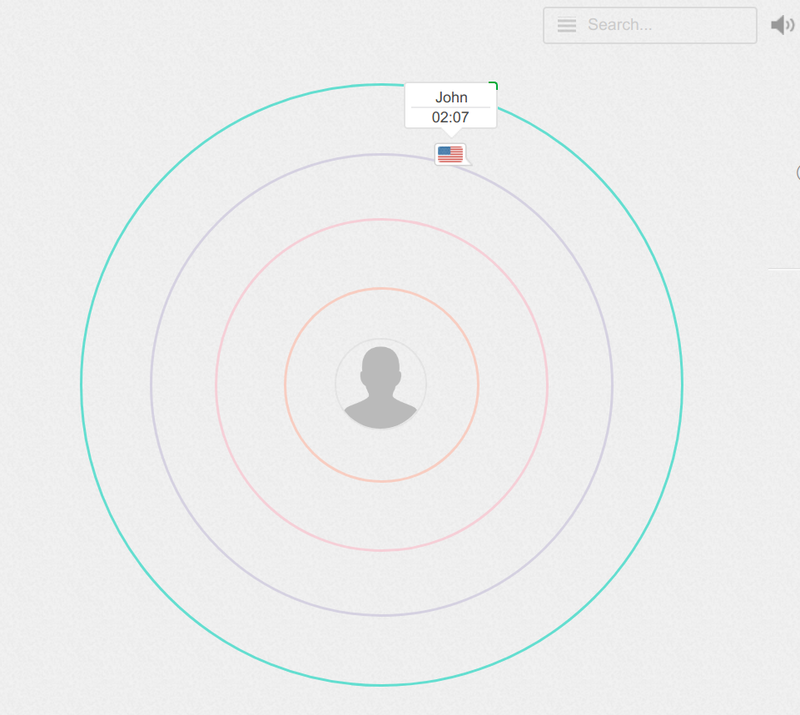 Another thing that seemed cool is the visitors’ icons displayed on concentric circles according to the time they’ve spent on your domain. By clicking the icons you may see their basic details such as their location, browser, OS, etc. You may also send them a chat invitation and ask them if they need any assistance. The desktop web app had a minimalist feel to it which is good but as a result, many important features and options failed to get our immediate attention. The overall look seemed quite coarse and boring, like a thing of past. 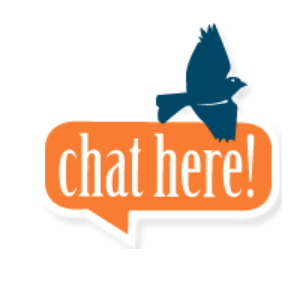 Chatra.io provides a live chat messenger which is easy to setup and even easier to use. This app is designed to give chat agents and the customers a smooth experience. The simplicity and ease-of-use while using Chatra is what we deemed as the forte of this live chat messenger. The online and offline modes help you to engage your customers instantly or to let them know when you’ll get back in case you’re indisposed at the moment. The invisible mode helps you to take care of a chat seamlessly without being pestered with other incoming chats. The mobile app is light, elegant, quick and offers each and every functionality and feature provided in the desktop version. Even these basic reports are only available in the paid version which is a letdown. For more in-depth insights, you’ll need to integrate Google Analytics. The free version just provides the basic visitor information which doesn’t give much foresight about your visitors and what they might need. To get important features such as real-time visitor list, detailed visitor information, typing insights and visitor banning you’ll need to install the paid version. The design of the widget is neat but it can’t be fiddled with much. Only things customizable are the color of the widget, its position, and the style which just has two options: Tab and Round. We came across no developer customization options, so, you’ll have to stick to the default widget. Olark is one of the most popular and widely used chat support platform. With a clean and intuitive design and a simple and effective build it is a powerful application supporting solid integrations. The widget looks nice with good customization options to make it match your website. You can change the widget colour, greeting text, size and placement of the widget and its animation style. You can also use custom images a.k.a. Attention Grabbers instead of the default widget button in order to make the chat widget your own. Olark has a very simple UI which is easy to use without needing much handholding. You can easily form chat teams, share information amidst the members and track agent activity. The chat window has a lot of functionality as you can tag and transfer chats, refer to old transcripts for the same visitor quickly, block particular visitors, stop notifications and much more while chatting simultaneously. Olark gels great with Shopify and Bigcommerce. It tracks your Shopify conversions and saves leads for future reference. Olark has no mobile app, which rendered our otherwise nice experience into a headache when it came to chatting on the go. To access Olark chat on mobile you will have to use a third-party app such as Trillian, Jabiru, Xabber, etc. The chat history is inaccessible through these apps and sometimes the notifications don’t work or are quite delayed. 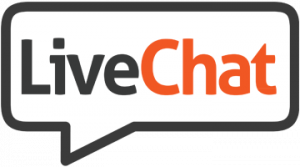 LiveChat is a sleek and simple tool that puts your online marketing, analytics and live chat support in one place. Chat Routing is top-notch in LiveChat. Chats can be routed automatically based on the visitors’ location, language, OS and browser, among other specifications. Also, URL rules help you route chats from visitors on a certain page to a certain agent. Inactivity Timeout automates the handling of the chat which is not being responded to by routing it to another agent, making the chat inactive or closing it, based on rules that you set. Analyzing chat surveys helps you map customer satisfaction and know how well do your agents fare in a conversation. You may install different themes provided by live chat inc. for the widget to make it look stylish. To top it, you can use custom Eyecatchers to attract your visitors’ attention and give the widget a personal feel. You can also get your programmers to customize the widget using custom CSS to make it yours, all the way. LiveChat provides an extensive Goals and Sales Tracker for tracking your progress and conversions on e-commerce platforms such as Shopify and Bigcommerce. LiveChat’s workflow is what you’d expect from any good live chat software. The chats are archived and you can filter them according to date, agent, ratings or tags. Agents can easily make chat hand-offs to other agents and also get useful information about the visitors and their activities. The Ticketing System is impressive and easy to use. It helps to stay in touch and resolve customer issues that transcend live chat. Mobile App is quite toned down in functionality. So, it is not possible to use all the important features on the go. The look and feel of the mobile app are also basic and definitely needs some work. The default widget is something that needs a better design as it looks pretty outdated. A modern take on it would surely look refreshing. Secondly, the dashboard in the desktop version also seemed quite boring to us. If you go with a starter pack you’ll be provided with just a 60-day chat history and any conversation older than that will be wiped clean. So if your company tries to keep long-term track of chats and tickets this might become an issue. 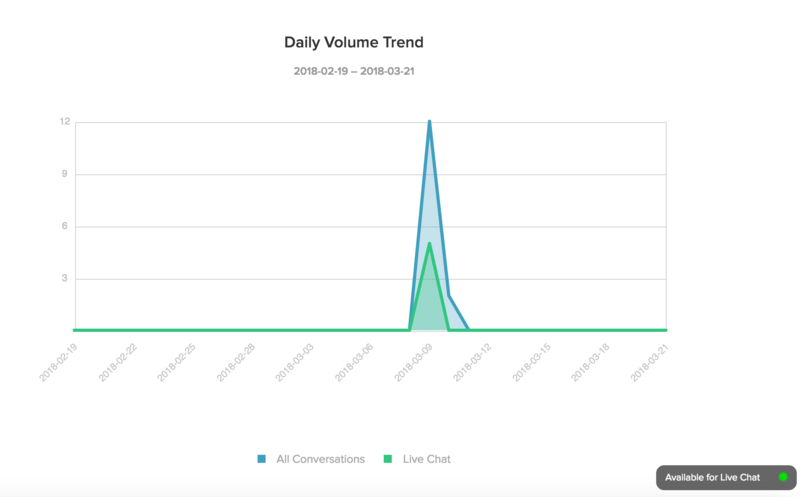 Drift is a highly conversation-driven live-chat platform which aims mainly at perfecting the communication services for your sales and marketing teams. It transforms your website into a powerful marketing platform and hence helps increase your sales. Drift Playbook, although paid, is a great feature which does stuff like greeting your visitors when you’re not around and sending messages to handpicked customers using preset rules, so that no visitor is left out. 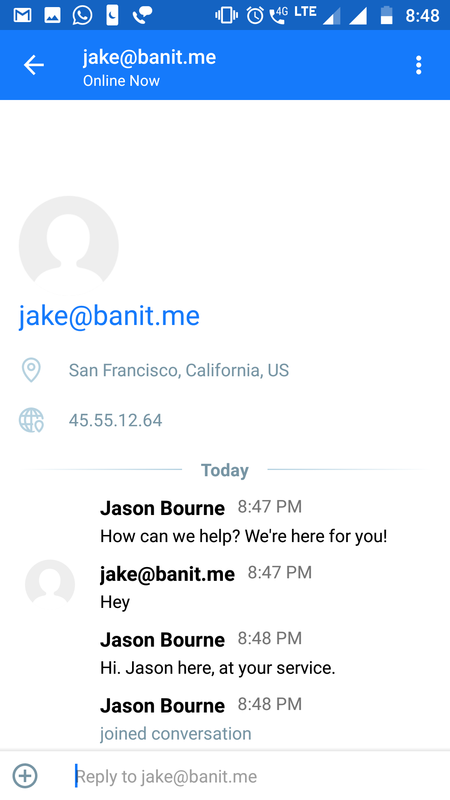 Another cool (but paid) automation feature is app’s Bots that provide knowledge base support. 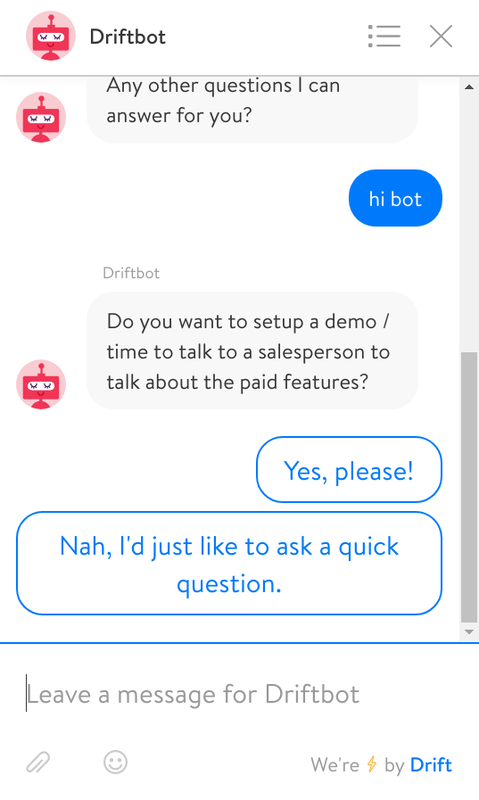 These bots redirect your customers to the right answers if their question is in FAQs. The dashboard in the desktop version seemed pretty elegant and quite straightforward, and the default widget looked modern and could be customized in the paid version. 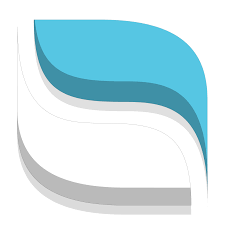 Drift dashboard helps you figure out how your conversations are affecting your business. You can easily identify prospects and reply with solutions. You can make custom filters according to your needs to sort through chats and contacts and also export and import both easily via CSV. Inviting other agents to join and joining other conversations is fairly easy. Drift tracks your Shopify conversions and saves the buyers’ info as Drift contacts, automatically. The mobile app felt really basic as it lacked all the features except that of live chat. Also, the aesthetics of the mobile app weren’t comparable to the desktop version. The Live View and proactive chat features are only available in the paid plans making you pay extra for a basic functionality. While it integrates with Slack conveniently, Drift runs a bit low on integrations overall. Another issue that we came across frequently is latency in notification alerts which can get annoying sometimes. The price on this may hurt your pocket if you want more powerful features. The cheaper plans lack certain important features and you don’t even get premium features during the trial period. Crisp Chat puts your live chat, sales campaigns, knowledge base support and favorite integrations together in one robust and simple communication and sales platform. Auto-responder is a cool feature that answers a certain type of questions asked by your visitors automatically. For instance, when you’re offline or when it’s a frequently asked question or a question that doesn’t fall under the expertise of the agent handling the chat. We also liked the force offline mode which you may use to hide the chat widget when there is no one to handle your chats. 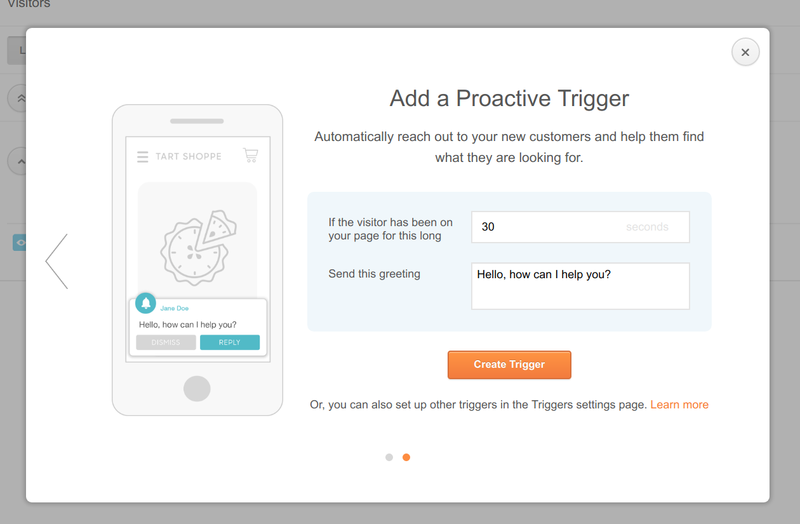 Crisp takes customer engagement to next level by letting your visitors play games in the widget while they wait for a reply. The chat can be translated into a wide variety of languages, allowing your agents to talk to visitors from all around the world. 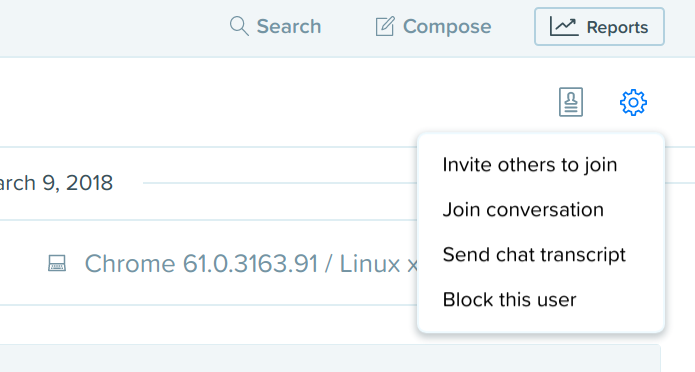 Chatbox restrictions help you display the chat box on the pages you want and hide it on the pages where you don’t. Apart from that, the dashboard seems wieldy and has clean aesthetics. You can create and customize an extensive multilingual helpdesk to serve as a public knowledge base containing articles and categories to help visitors with varying use cases, languages and requirements. There are a plethora of interesting plugins that add to the capabilities of this app and make it a powerhouse. It also offers unlimited history so nothing will get lost into oblivion. MagicMap is a visually pleasing tool that helps you spot all your online and active users on a world map so that you can easily visualize where your customers are coming from and in what proportions. MagicBrowse is another cool tool which can help you watch your visitors’ screens in real-time and make better sales decisions or provide better assistance. We felt that the widget needed a better design and more customization options to make it coherent to your website. Pure Chat is a live chat and visitor tracking platform instrumental in generating leads for you and driving your sales. 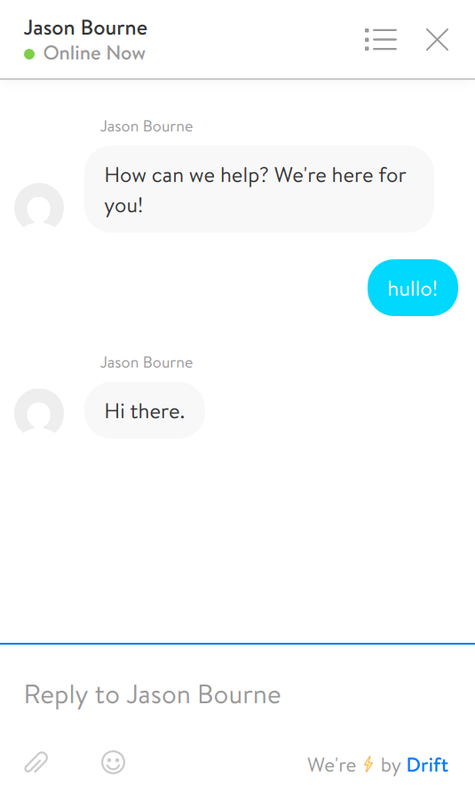 With Pure Chat, you can chat with multiple leads or customers at once. 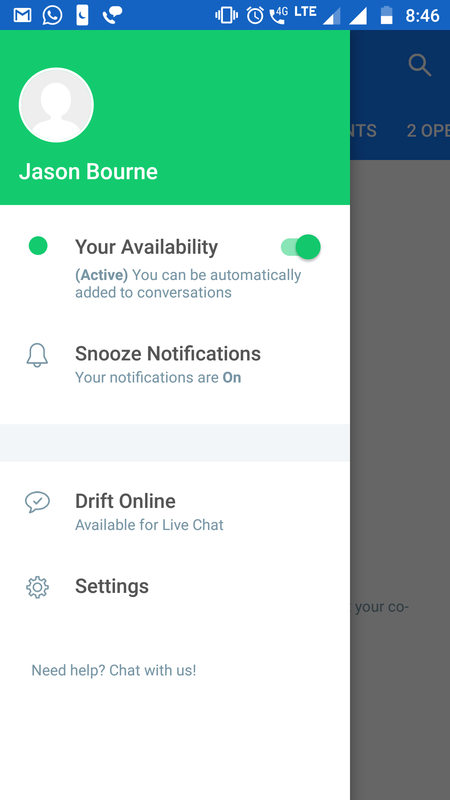 You can customize the chat box design all you want with different backgrounds, profile images, animations and personal chat pages with personal connections. 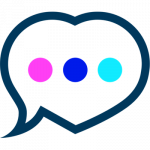 Pure Chat helps you keep track of each conversation with every customer, collect and export transcripts and share them with other chat agents for reference or reviewal. You can re-queue, transfer and tag the chats in the free plan and also analyze the tagged chats but you’ll need the paid version for the analysis. The chats can be reviewed based on different chat metrics for any range. Pure Chat also lets you help the customers to find the right person to talk to by assigning different departments. You can assign specific privileges and tasks to the users and manage them better. The paid plan seemed quite nominal to us at $99 per month with great features and unlimited users. It has the potential to generate good ROI for all kinds of businesses. The free plan also supports unlimited users, so you can start out your live chat and assign any number of users without any expenditure at all. We felt the widget design was a bit clunky on the visitors’ side when one starts the chat. Also, when you send a message in the widget, it takes a while before appearing in the chat. The past chats and ongoing chats are queued together hogging up the interface and making it confusing for the user. Also, the chats do not open in pop-up screens, so it isn’t possible for the customers to browse around without disconnecting from the chat. The customers can’t even rate chat sessions and provide feedback, which proves to be a drawback when it comes to knowing your customer. Bulk exporting chat transcripts to a CSV is also not an option. The app is prone to freezing every now and then which gets annoying. The absence of a spam filter made it really hard for us as we had to deal with a lot of spam from weird visitors. You cannot do outreaches on the free plan. This seems a bit uneconomic as you have to pay more for such a basic functionality. Intercom is a live chat and email support app that helps you convert your website visitors into customers. It efficiently tracks events and custom data for lead generation. 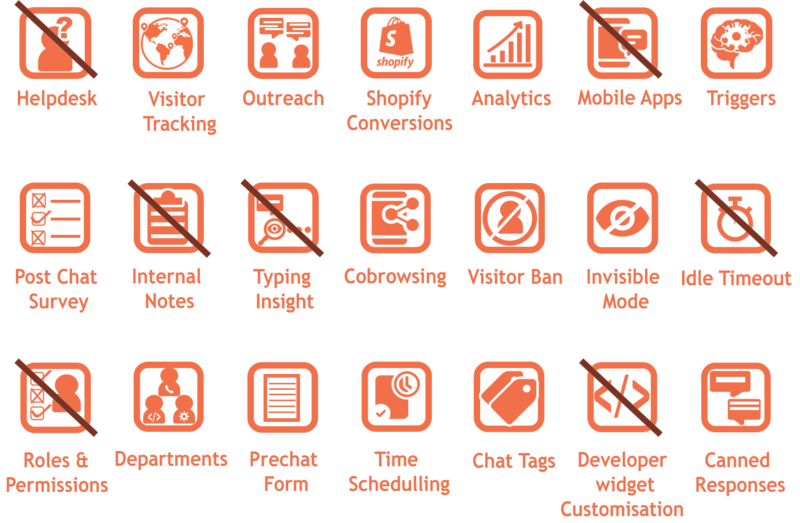 The ticketing system was the most commendable part of Intercom for us, so much so that it overshadows the live chat aspect. Other than that, we really liked how we could easily import users via REST API, add historical event data for each and import user data from MailChimp, Mixpanel or CSV. Intercom helps you track your page views by using just the event metadata and to manually convert a lead into a user. The system supports numerous languages and even auto-detects the language your visitors use. You can proactively reach out to visitors by looking at their activities on your site and judging their intent. To turn it up a notch, you can A/B test your replies and find out which ones work the best and which ones don’t. The incoming chats can be assigned to particular team members based on their specialization, language or other aspects in order to make the experience more personal. 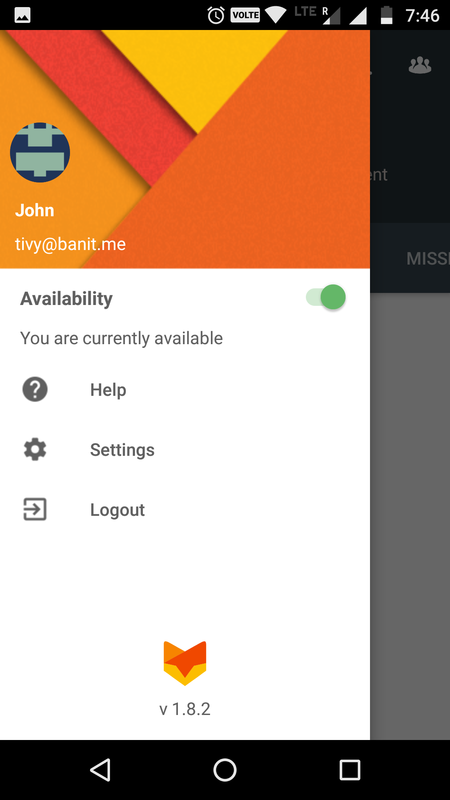 The Messenger is customizable and you can create a custom launcher for Android and IOS. The app is not as complex as the desktop version and looks simple and elegant. 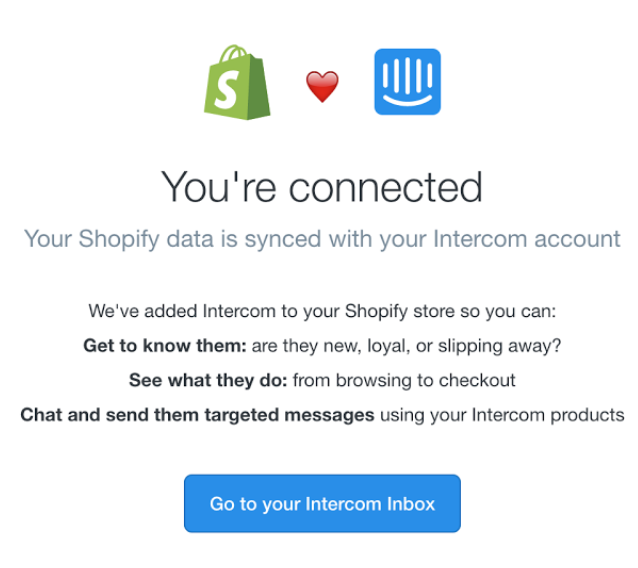 Shopify integration works just fine with Intercom. You can keep track of your customers, track your Shopify store conversions and get back to the customers who convert, easily. The default widget seems visually pleasing and compact, and the Intercom dashboard also has a modern look and pleasing graphics. Widget customization is not so flexible. You can just change basic things like background design and widget colour. The only way around it is to code your own widget and embed it on your website, which could be irksome if you can’t code. Intercom’s UI/UX, though visually pleasing, is a little hard to deal with, given its complexity. Its work-flow is basically meant for account-based SaaS businesses and so is its pricing model, making it a bit costly and hard to use for other e-commerce businesses. Other than that we encountered a few bugs that were annoying and sometimes while typing long messages the messenger froze. Our team often faced the problem of latency in chat notifications. This gets pretty bad when the notifications are delayed for quite a bit and you end up losing a chat. HappyFox Chat is a simple yet powerful app with seamless integrations to make it fit into your existing software infrastructure smoothly. HappyFox Chat was designed to provide fast support above else. Reports based on Activity: number of chats, number of missed chats and average chat duration. Reports based on Satisfaction: average rating, average response time and average first response time. The Agent Leaderboard gives a quick breakdown of all these metrics for each agent and ranks them according to their performance. HappyFox Chat helps you control the interaction flow because of it’s robust database where all the customer information is stored in advance, which comes in handy for getting insights into customer behavior. You get the provision of a private collaboration channel where all your agents can cooperate to provide unparalleled customer experience. If you’re a small company, the free plan provides a modest customer support for your business which can later be scaled up painlessly. The setup procedure is easy and the app integrates perfectly with whatever you are using already, be it Zapier, Zendesk, Sugar CRM, etc. The interface although easy to use felt a bit clumsy to us. The default widget is also really basic in design and you can just make limited changes to it such as changing the background color, text color and adding a pre-chat form. The mobile apps are fairly basic in functionality and don’t let you access Reports and Analytics. The app misses on some features such as Cobrowsing, Push-pages and remote screenshots among others. While the free plan is a great option for budding companies, it lacks many powerful features. The paid plans seem a bit expensive as compared to its contemporaries in the live chat market. Lucky Orange is basically an analytics and user behaviour monitoring solution with live chat. It focuses on analyzing the user behaviour in order to make improvements in your customer experience. LuckyOrange creates Heatmaps and records the mouse movements of every visitor on the site which can be played back to get insights into what customers do on your website. Then there are the Visitor polls that give you a better insight into your customers’ minds than Heatmaps and Recordings as they aren’t speculative but direct. Another unique feature is Form Analytics which helps you get key insights into customer behavior when they are filling forms. Lucky Orange helps you track live visitors, compare new and returning customers, look into basic stats, make funnels and track conversions. Lucky Orange doesn’t offer a mobile app so it felt a bit unhandy for chatting with customers on the go. We couldn’t play around much with the widget design due to the lack of options. The only things that could be changed were background color, text color, greeting text. To make it worse for us, there were no developer customization options. It surely took us a little time to wrap our heads around this one with all of its features. A little handholding is necessary for training new agents. Furthermore, the live chat functionality is pretty basic as more emphasis is on analytics and visitor monitoring. Re:amaze is a web-based help desk solution meant to help businesses with a high growth rate in implementing a multi-channel support system. Reamaze brings together live chat, email, SMS, social media and real-time messaging all into one easy and neat platform. You can turn on the ‘Classic Live Chat’ interface to make the chats synchronous when there are agents online on the desktop, ready to chat with the customers. Once this chat ends, messages can’t be sent any further in the same chat session. It can be considered more of a helpdesk system rather than just a chat software. You can also build a knowledge base and FAQ database that your customers can directly refer to. Features such as collision detection mechanism, event tracking, roles-based access controls, and full conversation management system make Reamaze a help desk platform for businesses that are growing exponentially. We really liked the fact that we could keep multiple email addresses and social email channels, and see all the incoming messages, all in one place. There’s so much you can do with this app and their support is very responsive and attentive to your needs. Plus our VA loves working with this app and recommends Reamaze for seamless customer support management. Reamaze syncs to your Shopify and pulls up an order information that is displayed on the side and you can even cancel or refund orders right from the app. While the design is commendable, it is not meant for everyone. The centralized design needs a lot of effort from the users to wrap their heads around it, and a lot of thought before they take any action. Newcomers will have a hard time getting the hang of it as the handholding provisions are negligible. The widget supports customization but it still seems quite limited. Also, it can turn out to be a little hard to understand for your customers. 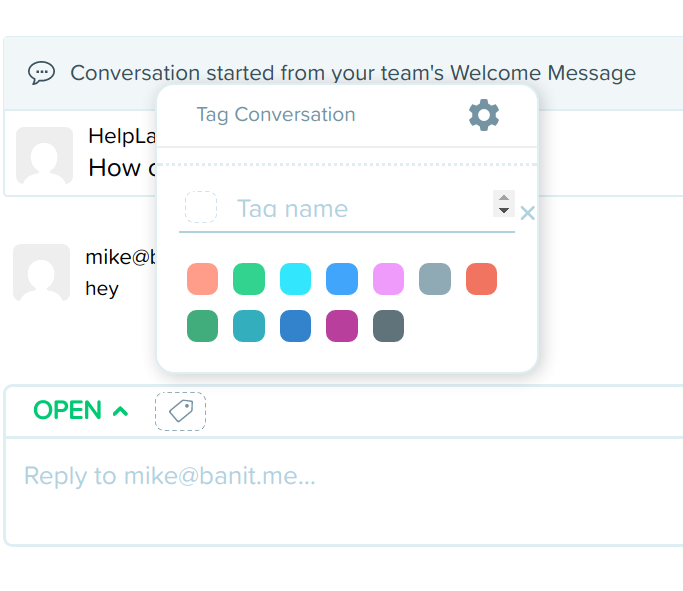 Whenever a chat is ended, the customer would need to click the back button on the widget to go back and start a new chat. The workflow seemed a bit non-intuitive. Every chat opened up separately and it felt hard to see whether it’s a previous customer or a new one. Moreover, if the business is dealing with multiple brands the price will soar higher as Reamaze offers no functionality to support that. Zopim is one of the most popular live chat and communication system in the market which gives genuine insights about customer behaviour and fosters practices of better decision-making. Powerful chat functionalities, a personalized environment, intelligent automation and efficient visitor monitoring makes Zopim one of the frontrunners in the live chat market. You can make departments and assign roles and permissions according to your agents’ specific skills, and set chat limits for each agent so that they don’t get hogged up with more incoming chats while they are already handling a few ongoing ones. The chat widget can be made secure and spam free by blacklisting countries and whitelisting particular domains according to your prerequisites. There are quite a few things that you can customize in the widget such as the title text, widget color, size, position, the display pictures, message style, etc., but still, the widget appearance seemed boring and coarse. You can also customize the chat badge by changing the text and the image but you’ll have to make do with the same old, outdated rectangular background. You’ll have to reach inside your pockets if you need basic chat reports as they aren’t available in the free version. Reporting is also very limited and clumsy in Regular account. For better reporting and analysis you’ll have to upgrade to higher plans. Zopim has a long way to go when it comes to innovation. The advanced trigger logic, limited use of CC field and no integration between chat and ticketing systems are the major drawbacks of the system. Another weak link is the absence of asset tracking. If you want the powerful features offered by Zopim, you’ll have to go premium which turns out to be costly. 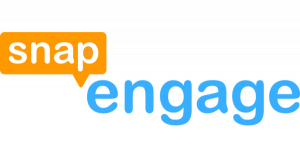 SnapEngage is live chat software with easy yet powerful interface and numerous features to drive your sales and support. Keeping a track of all the chat logs, browsing through them and exporting them turned out to be quite easy. You don’t have to while away time in monitoring unresponsive chats as the software invites visitors to chat automatically. The Text-to-Chat feature(paid) allows your visitors to chat via SMS without any change in the agent side portal. Snapengage lets you design more than one widget and customize them differently to put on different pages to monitor them parallelly and see which one works the best. You can check reports for different widgets that you’ve put at various places in your domain and compare them. You can enjoy secure data transfer in the pro plans. The software is PCI compliant so that customers can share things like social security numbers and credit card details off the record. It is also HIPAA(U.S. Health Insurance Portability and Accountability Act of 1996) compliant to ensure protected health information. The dashboard had an unpleasant look and feel. Snapengage needs to do a lot of work on its design elements. You have a wide range of customization options but still, the widget seems old school and doesn’t act as a great attention grabber. It offers no real-time site monitoring which proves to be quite inconvenient. The app doesn’t offer a live view of the chat agents for supervision which makes training new users hard. Moreover, you can only get visitor information once chat request has been sent which hampers the agents’ foresight. Dixa is a cloud-based customer support platform that allows instant phone, email and chat support from one place with utmost simplicity. The one thing that we found phenomenal in Dixa was the way it condenses email, call and chat support into one simple interface. 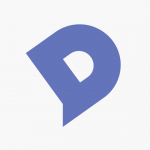 Searching anything is easy in Dixa as you can search for conversations, companies and users, all in the same place. 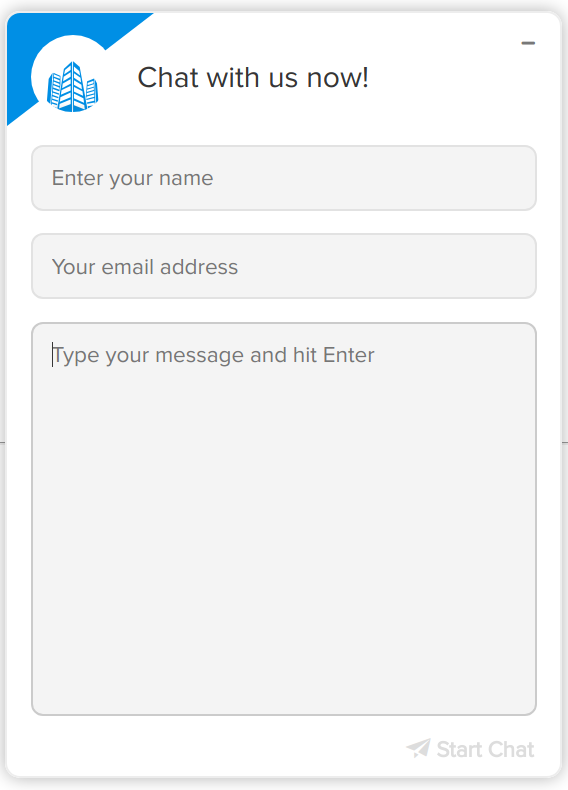 You can transfer chats amidst the members of your team and also transfer a chat, form or conversation to an external email address. Dixa provides real-time performance stats for wall displays, intelligent routing across all channels, automation, callback and much more. 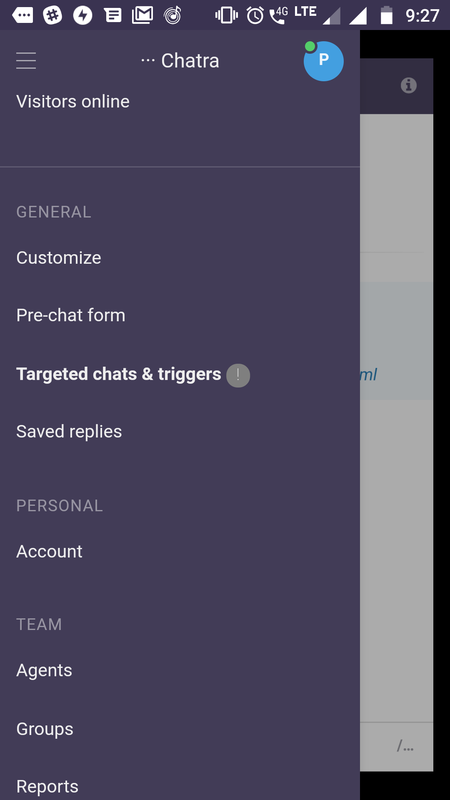 Another really unique and awesome feature was the provision to build chat and call flow visually using a drag and drop menu. This helps you in building a robust workflow without any technical prerequisites. The technical support is swift and seamless. So whenever you are stuck, come up with an issue, or feel that a fairly important feature is missing, you can contact the support and get a swift follow-up resolving your problem. The widget customization options are really limited. You can only change the widget color and the display image. Even the appearance of the application didn’t succeed in pleasing our eyes. There is a lot of scope for improvement. The responses aren’t that quick far too often, which gets a little vexing. Tidio Chat is a web-based live chat software which combines messages from various channels into a unified interface, enabling agents to deal with all customer messages at the same time. The dashboard is easy to understand with a lot of hints and guides. Thus, a lot of handholding is not required for new personnel. You can integrate live chat with email and Messenger in order to get all the messages from every channel at the same place. The widget, as well as the dashboard, look elegant and minimal. 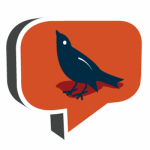 The chat badge looks good with custom images on your site and is quite eye-catching. You can add various e-commerce platforms to your Tidio Tracker and add events to be tracked on them all, including Shopify conversions, at one place. The customization options are far too limited. So, you’ll have to stick with the default style. Also, the widget acts glitchy on Safari. The conversation tags aren’t visible on the mobile app, making it rather hard for you to judge the context of some conversations right away. Even the online/offline modes are not available on the phone, instead with the new update Tidio has introduced a new availability logic which seems a bit hard to understand. Mobile notifications are delayed far too often, and to make it worse, sometimes you aren’t notified at all. There is no online visitors list in the mobile app if you have a basic plan. The message box only refreshes when you are on the same page. Therefore, it gets hard for the visitor to receive messages on time if they’ve multiple tabs opened.